Tainan was hit by a magnitude 6.4 earthquake on 6 February 2016. 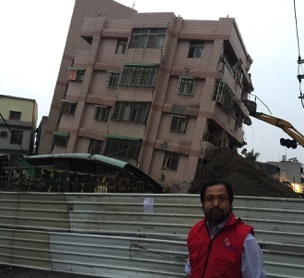 It was updated at 4pm on 13 February that 116 people was killed in this earthquake by the Tainan City government. Thank you to Cathay Pacific and Cathay Dragon's sponsorship of Tainan Team 2's air tickets!